Welcome to Virginia Dive Club! The club is always looking for new drivers to join! Seasoned divers, as well as newly certified divers, are welcome! Questions? Email the club at diveclub@vascuba.com. Virginia Dive Club Membership is only $69.99 per year! Benefits to joining the club include activities, diving, great friends, diving, member-only discounts with Virginia Scuba, and diving! Virginia Scuba will be offering Club Member pricing for travel, events, and even hosting member-only events and opportunities. Contact Virginia Scuba to join! Join us any open water training weekend at Lake Phoenix. The shop will be there conducting classes, but club members will be there for fun diving. Please note that people not taking class may not dive with the class group(s). May 19, 2019, Dive Club Meeting 4 PM at Virginia Scuba. May 25-27, 2019 Mystery Lake, NC - Join us for a weekend of diving fun at Mystery Lake, NC. Carpooling will be available for those wishing to do so. July 13-14, 2019 Dutch Springs, PA - Join us for a weekend of diving fun at Dutch Springs near Bethlehem, PA. Carpooling will be available for those wishing to do so. July 21, 2019, Dive Club Meeting 4 PM at Virginia Scuba. August 31-Sept 1, 2019 Summersville Lake, WV - Join us for a weekend of diving fun at Summersville Lake, WV. Carpooling will be available for those wishing to do so. Sept 14-15, 2019 Lake Phoenix Dive Club Cookout Weekend - Join us for a weekend of diving fun at Lake Phoenix. This weekend we will be having a cookout and activities for the club. NOTE: All are welcome, but non club members will incur a fee to participate in the festivities. FREE to members. October 26-27 2109 End of Season Dive - Lake Phoenix Dive Club Weekend Fall is a great time to dive. Christmas Luau December ?, 2019- This is a members only event. To celebrate another great year of diving adventures, we will have a year-end Christmas Luau at Virginia Scuba. Appropriate Hawaiian attire suggested. Present your Virginia Dive Club Card at Lake Phoenix and receive 10% off rack rates for admissions and items. Present your Virginia Dive Club Card at Blue Grotto in Williston, FL and receive 10% off your purchase. Contact our friends at Triton Abyss Diving for travel opportunities and local dive excursions in South Florida and the Florida Keys! 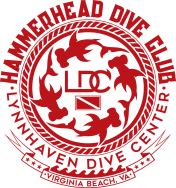 Present your club card at Lynnhaven Dive Center in VA Beach and receive the same benefits offered to their Hammerhead Dive Club Members!